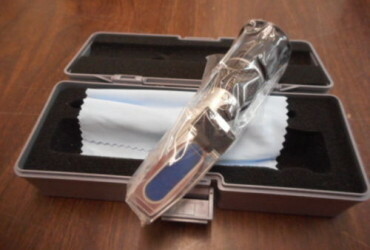 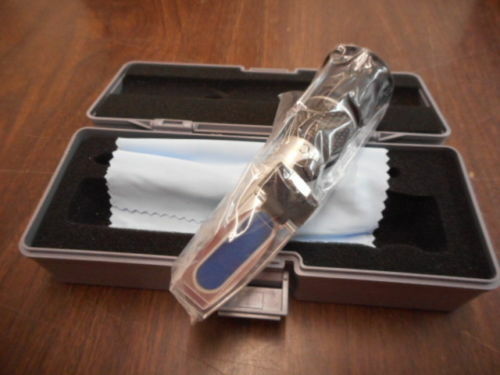 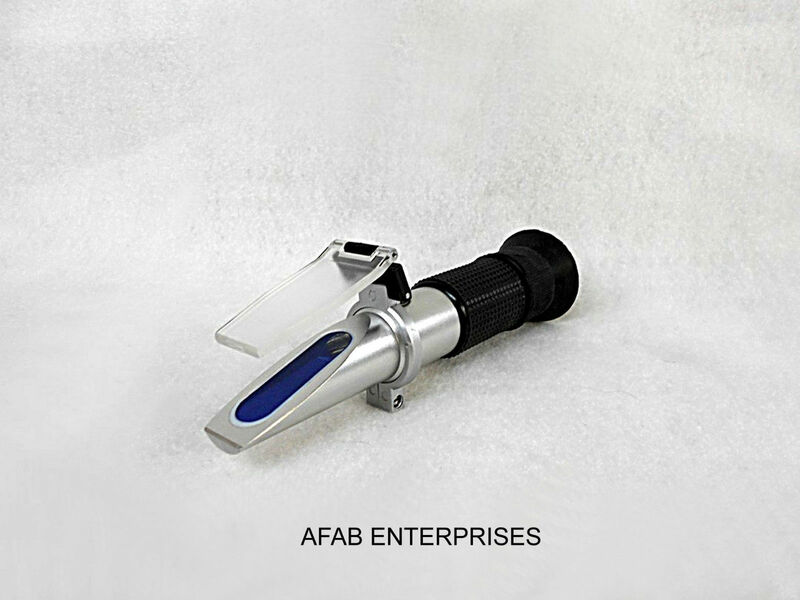 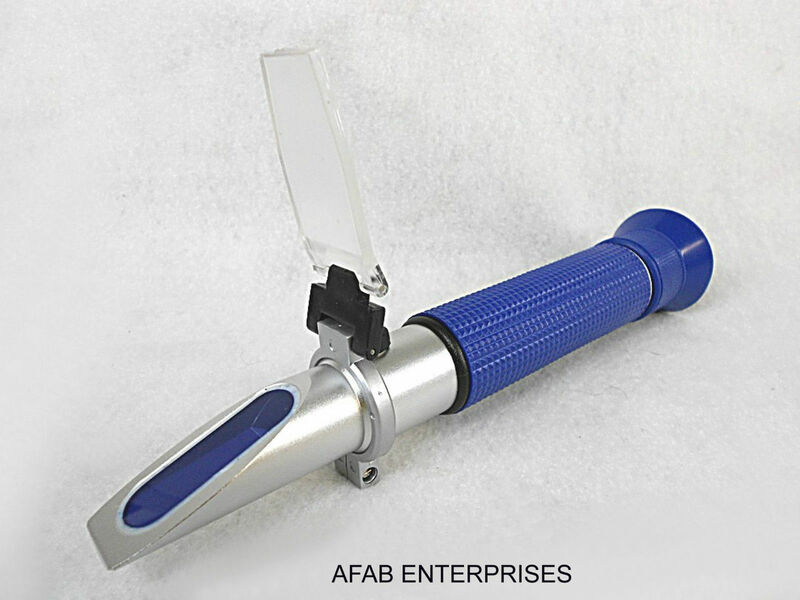 This is a Handheld Refractometer for Ethylene Glycol, Propylene Glycol, Battery and Cleaning Fluids. 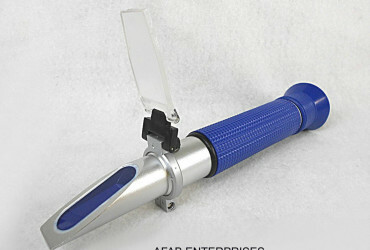 Hand refractometers are made with a variety of different scales to measure dissolved solids in solution. 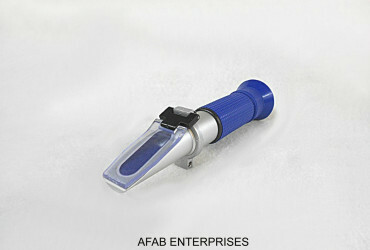 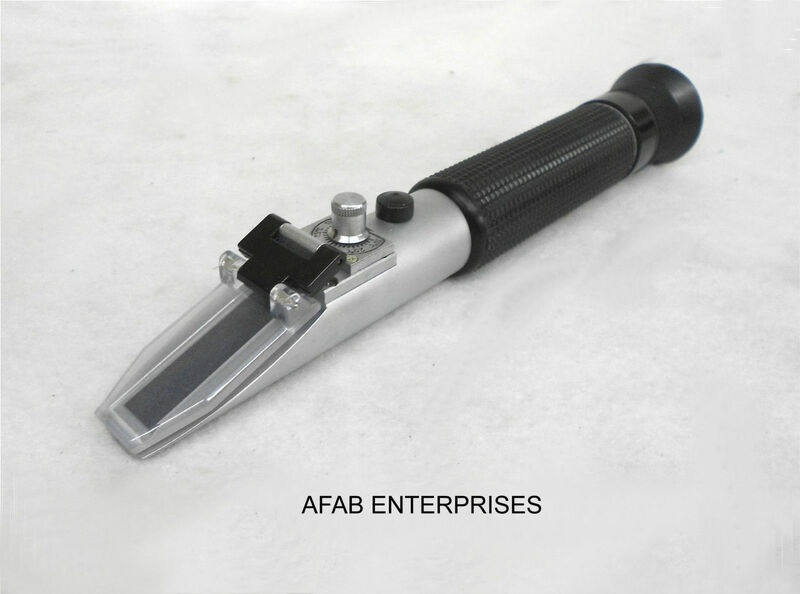 Hand refractometers are categorized according to the type of measurement scale required. 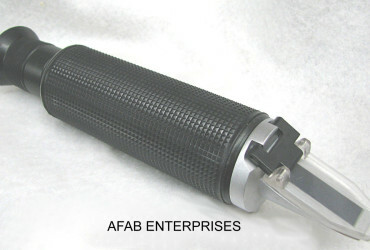 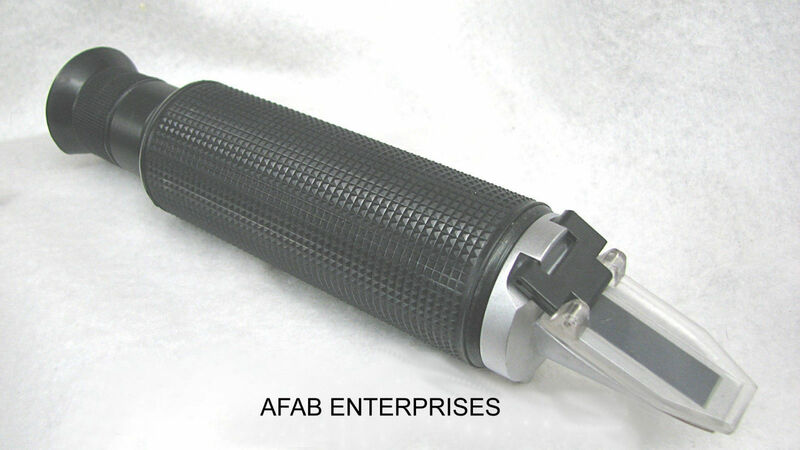 All are easily transportable for field use, simple to use, and require only an outside light source to be functional. Models with the ATC designation are Automatic Temperature Compensated over a 40º F temperature range. 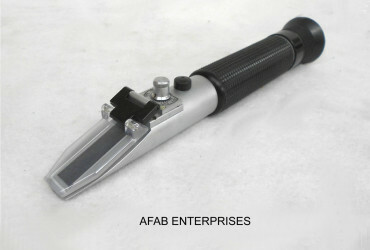 We have several models available at this price! 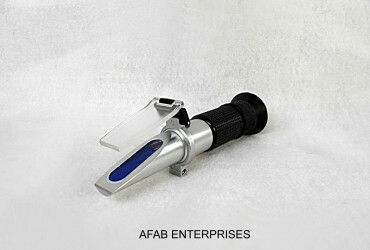 These models are designed for testing the concentration of battery acids, antifreeze liquids and cleaning fluids. 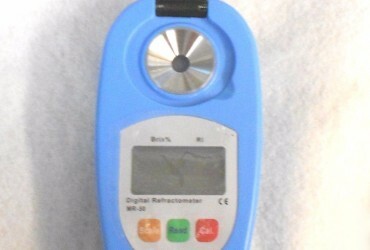 The percentage indicator indicates the point of freezing for both propylene glycol and ethylene glycol. 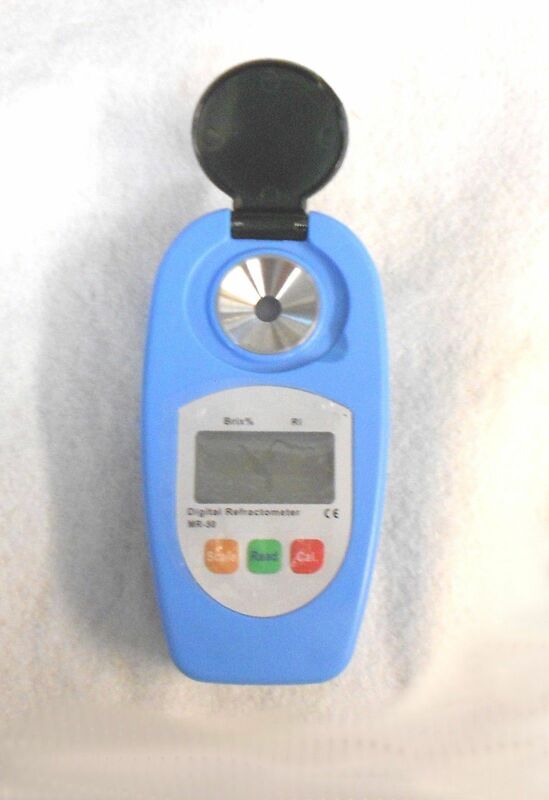 It can also be used for checking the strength of electrolyte solution batteries.